Beer #2768 is an ipa brewed by To Ol in Copenhager, Denmark. Hey, Larry, bless your heart for what you’re trying to do. I was panicking for a minute back there, but I got my senses back now. Situation is I’m shot in the belly. Without medical attention I’m gonna die. I wish I was watching that movie right now, it’d be the perfect movie to have with this beer but oh well! This is an excellent fruit ale, extremely fruity, slightly tangy, with orange and some grapefruit upfront. There’s a minor sweetness in the background but It’s so fruity you can almost taste the pulp and the 9% ABV is beautifully hidden! The bottle size is 500ML with an alcohol content of 9.00% (containing approximately 3.60 AU / 4.50 UK standard drinks), and it costs $9.50. 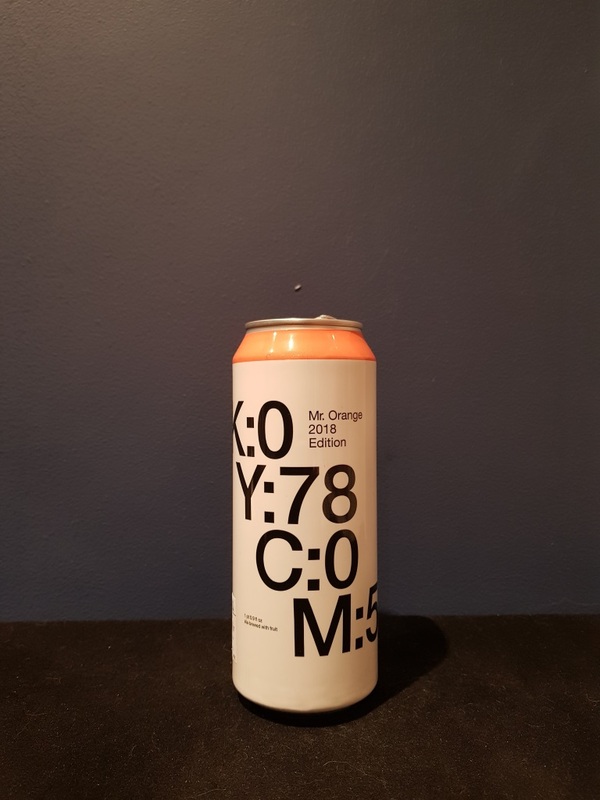 With this year’s tropical mix of papaya, mango, apricot, orange and lemon zest, mr. orange is bringing the safari to your cup – wrapped as a sour mashed citra iipa with light malt profile to add space for all the hops and juice.